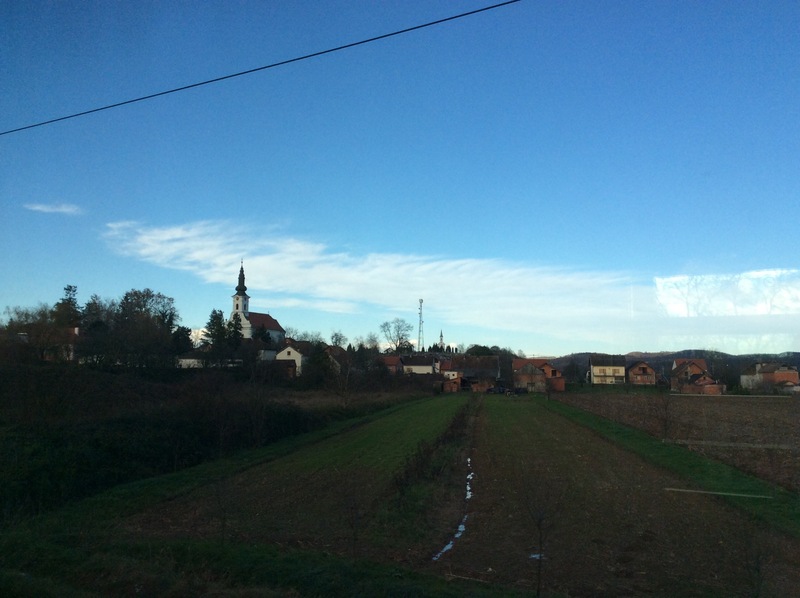 11/17 – we got up early for the 8am train back to Zagreb. As soon as she heard us moving about, Pera brought down a tray of Turkish coffee and cookies to see us off. What a nice lady! We will miss her smile. If you’re ever in Split, you can’t do better than Apartment Pera. We found her on Booking.com. 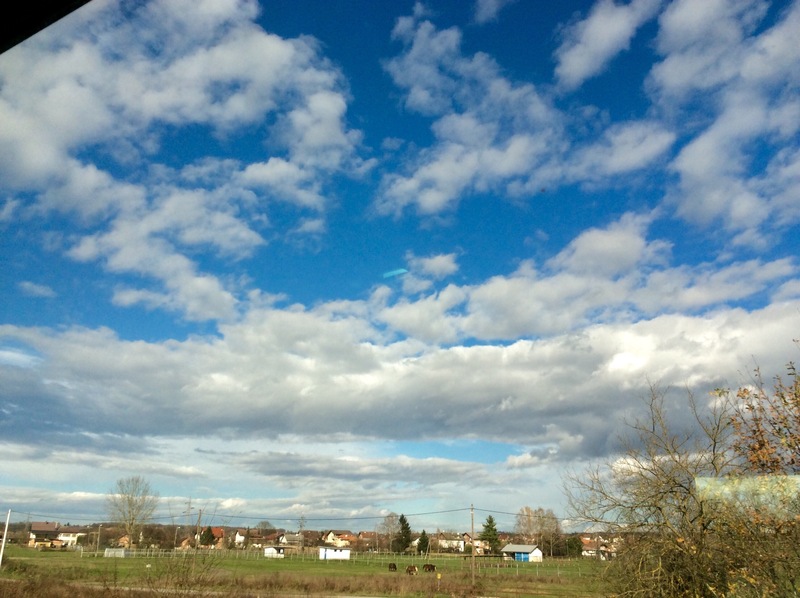 When we were almost to Zagreb, we were informed that we would, once again, have to get off the train and get on a bus to get around a track problem. That’s the third time in a week! 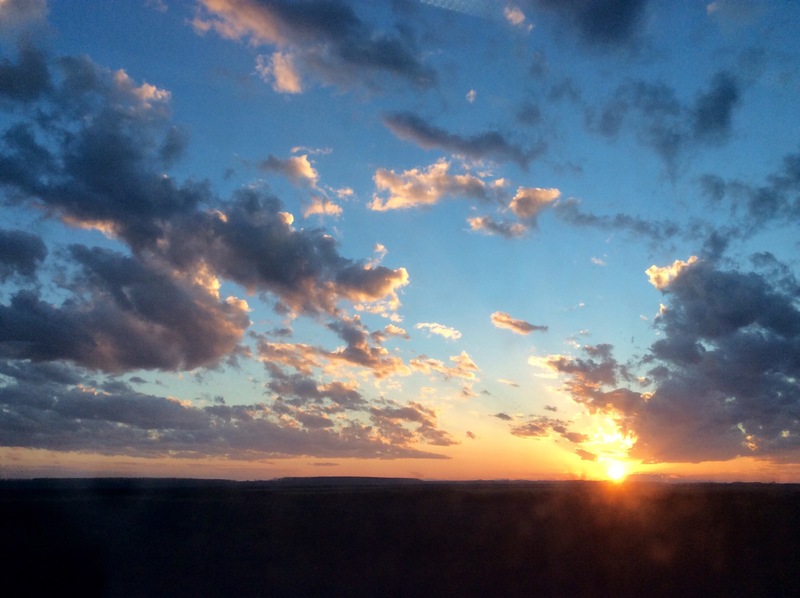 We hear that trains get less reliable from this point on, so this may be our new reality. Got back to Zagreb in the late afternoon, where we are staying one night at the Palmer Hostel right near the train station. Very convenient, with a private room, and shared kitchen. We had a nice conversation with a retired Chinese couple who have been touring Europe for two months. They were excited that the U.S. and China had just extended visas for our respective countries to 10 years. Next year they plan to spend a nice long vacation touring the U.S. This made us think about visas. We are swiftly running out of Europe, so I spent most of the evening looking into which countries in our near future require special visas, and how to get them. Turkey is first, and we secured that one online in about 10 minutes. The biggest problem looks like it’s going to be China, as you are supposed to apply from your home country. We couldn’t find any backpacker advice online that would help. Once we get to Istanbul, we will visit the Chinese Embassy, and see what alternatives are available to us. 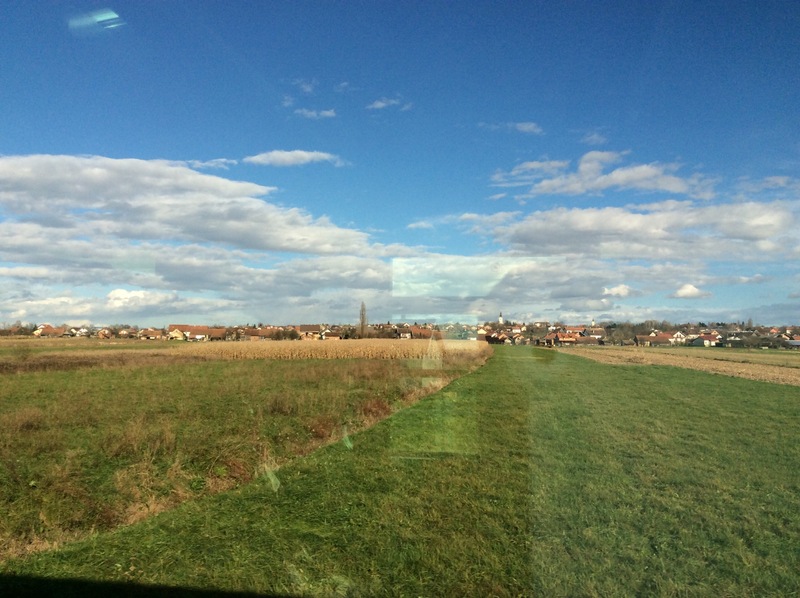 The train took us through some really pretty Croatian countryside, with the first sheep, pigs and horses we’ve seen in a while. By 3pm we crossed into Serbia. Now we have been in three of the countries that used to be called Yugoslavia: Croatia, mostly Catholic, Bosnia-Herzegovina, mostly Muslim, and now Serbia, mostly Orthodox. We understand that Serbia shows the most scars from their war in the 1990s. Tomorrow we shall see. Arrived in Belgrade on time (! ), in the dark (streets not well lit) and cold! As in Brrrrrr! I’m going to need a hat! We had the street address for our apartment, but once we got there, it was in a big apartment building, and we could not see a way in. A young woman offered her assistance as we stood outside the door looking cold and confused. She called the phone number Jim had written down (our TMobile world plan doesn’t work in Serbia either), and told the landlord we were waiting outside. Our first Nice Person of Serbia! The landlord explained that he was illegally renting the apartment, which explained why there was no sign. Sheesh! So now we are in our new cozy apartment, well fed with the omelette Jim fixed with supplies from the little market right down the street. We traded in our kuna for dinar, and we are ready to see Belgrade in the morning!